Guy Hamilton, director of the first 007 mega-hit, Goldfinger, died at 93, according to an OBITUARY BY THE BBC. Hamilton directed four Bond films, with Diamonds Are Forever, Live And Let Die and The Man With the Golden Gun being the others. He initially agreed to direct The Spy Who Loved Me, but bowed out after agreeing to direct Superman. He ended up not directing that movie either, paving the way for Richard Donner to helm Christopher Reeve’s debut as the Man of Steel. Hamilton also was offered the opportunity to direct Dr. No, the first 007 film produced by Eon Productions. He refused, with Terence Young eventually getting the job. After Young turned down Goldfinger, Hamilton didn’t say no to Bond a second time. Hamilton was no rookie in the film industry when he got the Goldfinger job. He had been assistant director on The Third Man (1949) and The African Queen (1951). In the early 1950s, he graduated to the director’s chair on a series of films. In the 21st century, some fans view Hamilton as being lucky with getting the Goldfinger job, while his three following 007 films didn’t come close to meeting the same standard. Regardless, Hamilton was in the director’s chair for the first Bond film that made 007 a worldwide phenomenon. His record also includes directing a Harry Palmer film for Harry Saltzman (Funeral in Berlin) as well as the producer’s Battle of Britain movie. With Hamilton’s passing, only Lewis Gilbert (b. 1920) remains among the directors of the first 11 Bond films. 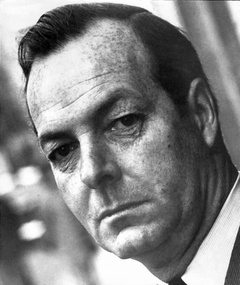 Terence Young died in 1994 and Peter Hunt died in 2002. Roger Moore took to Twitter to write about Hamilton.